According to the Decrees of Cabinet of Ministers of Ukraine №753, №754, №755 dated October 02, 2013 for all medical devices that will enter the market from July 01, 2015 for the first time it is required to conduct the national conformity assessment to Technical regulations. Affixed CE mark at the product labeling, as well as availability of documents confirming compliance with the European Directives for medical devices or approval of devices sale on the European markets, does not authorize placement of the product on the Ukrainian market without passing the national conformity procedure. Moreover, previous registration does not facilitate this process and the results of technical, preclinical or clinical examinations do not provide confirmation of conformity to Technical Regulations. 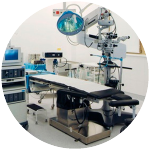 Depending on the class of medical device, the procedure of conformity to Technical regulations is carried out in different ways and allows choosing the volume of expertise between inspection and laboratory testing. State Body, which carries out the assessment to Technical regulations, will be selected according to the class of the medical device: for the safest products, it is sufficient to do self-declaration procedure (non-sterile, without measurement functions, medical devices of I class.). For other medical devices (IIa, IIb, III classes) it is required to pass the procedure of documents examination and inspection of production, as a result receive the certificate for 5 years, or pass the procedure of assessment batch conformity with result of receipt of one-time certificate for a specific batch..
Assessment of medical device type (issuance of separate certificate). Following procedure requires the full study of the technical file for medical device (without visit to the manufacturer site). Our company is a professional in providing services for the complete registration procedure. Our specialists will prepare the registration dossier in accordance with Ukrainian legislation, will provide the necessary documents to the regulatory authorities and ensure full control of the process prior to the issuance of the registration certificate. First, you provide us information on services you are interested in and brief description on the product, so we could provide you the general offer on services. Then we require the sealing of the Confidential Agreement and Service Agreement. After the Service Agreement is signed, we issue the Order and Invoice for the payment of the services of Patern Ltd. Simultaneously as the CA is signed – you send us the registration dossiers for chosen products by any world courier. We receive the dossiers and perform the internal expertise of the documents. As a result of the procedure we send you the list of the missing documents, our comments regarding quality and quantity composition of the dossier etc. – the Protocol of the dossier internal expertise. Part of the documents are selected for translation, our specialists make an Application and submit dossier to the authorities of Ministry of Health of Ukraine. The registration materials are formed in accordance with the current legislation of Ukraine. We accompany the registration procedure during the examination by MOH. In the case of any questions or comments from State Authorities – we try to answer them by ourselves or request information from you. Courier will send the original approved documents of registration to you.